Buying a home can be one of the most exciting times in your life, but it can also be one of the most stressful. If you are not prepared, your anxiety will likely be much higher. The problem is most people don’t know the first thing about buying a home and getting a mortgage. Educating yourself is the key to a lower-stress house-hunting experience. 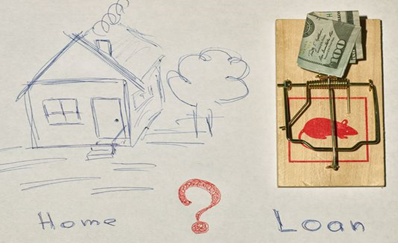 Before you even begin the hunt for the perfect home, you must understand your finances. Getting approved for a mortgage loan is the first and most important step of buying your home. 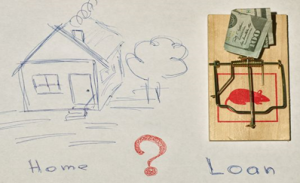 What Exactly Is a Mortgage Loan? A mortgage loan is a “sum of money” that is given by a financial institution to an individual (or couple) trying to purchase real property. The “sum of money” will be paid back over a set amount of time with interest (typically 15 years or 30 years). The terms of the loan are usually based on using the purchased property as collateral. This means that if the borrower fails to make their payments, the property can and will be owned by the lender. Knowing your “financial history” is one of the biggest keys to getting approved. Here are some sure-fire tips to help you get approved for a mortgage loan. 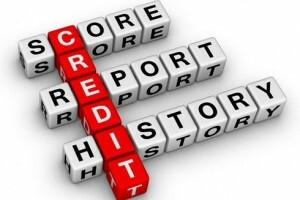 Your credit score will determine if you will be able to qualify for a mortgage loan. Both your credit score and credit activity can impact your approval. Unfortunately, many people submit home loan applications before reviewing their credit score. Don’t assume your credit score is perfect or even great. Getting a credit report takes only a few minutes and is easier than ever. The easiest way to get denied for a mortgage loan is to have little to no cash. Mortgage loan requirements are always changing, thereby making lenders cautious. In the past, lenders and investors may have approved zero-down loans (no money), but they now require a down payment. Manage your funds to create money saved for your mortgage. The amount of your down payment varies depending on the loan itself, the lender, and many other factors. However, each lender has different requirements. Do some homework and call lenders and ask how much they expect you to put down. The good news is the higher your down payment, the lower your mortgage loan balance. Before the mortgage shopping begins, we strongly suggest lowering your outstanding debt balances. You don’t need a zero-balance to get approved, although it certainly wouldn’t hurt. Your lender will evaluate your “debt-to-income ratio” before approving you to receive your mortgage loan. If your outstanding balances are high, you may receive a lower mortgage or even get turned down. If you are approved for a mortgage loan with outstanding debts, it is important to avoid new debt. So you have lowered debts, received your credit report, and are ready to get approved. Many lenders will approve you for a mortgage loan that is more than you can afford. Just because you were approved for a larger amount of money, does not mean you can “Over-House” and afford the expenses that come with a bigger and more expensive home. Unfortunately, we see this far too often and the damage can be irreversible. Before you sign the loan documents, take a moment to consider what you are “giving up” to live in the home you want to buy. 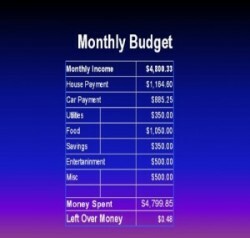 If you are giving up expenses like vacations, new clothes, and dining out, you are probably okay. If you are giving up your current and future financial stability, you may be headed for trouble. There is a U.S. Government website www.consumerfinance.gov with lots of additional mortgage information, laws & regulations, and a helpful blog.